It’s amazing to think about it now. One day in 1998, a group of American and Ecuadorian biologists were birding together amid the cloud forest in Tapichalaca in the province of Zamora Chinchipe, when they heard a strange sound. Almost right away, they knew it was something different; something new. A new bird! Eventually, their eyes confirmed what their ears were telling them, and what is now known as one of Ecuador’s star birds was finally seen by ornithologists for the very first time. Local farmers recognized the sound, but had hardly seen the bird, and referred to this phantom of the forest as the ‘Jocotoco’. Now known widely as the Jocotoco Antpitta, this charismatic species served as the inspiration to protect Ecuador’s most prized biodiversity hotspots. Today, the Jocotoco Foundation owns and manages 40,000 acres of wildlife habitat, protecting no less than 36 globally endangered bird species and 24 more threatened species. They oversee 11 reserves, and a network of lodges, all built using local materials to harmonize with their environment. This tour features and supports the amazing work of one the most productive and inspiring conservation organizations in the world. 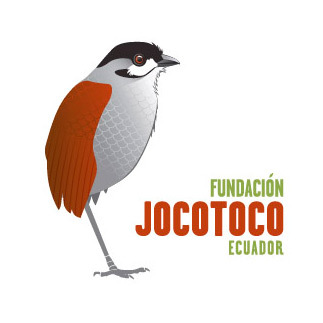 Team Rockjumper is proud to partner with the Jocotoco Foundation for this unique offering, to Ecuador’s old gold country in the south.